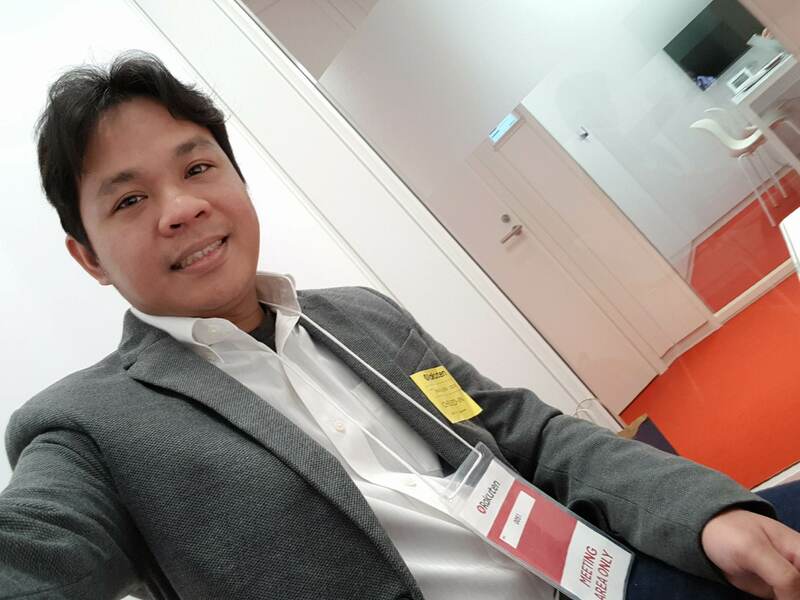 During my first trip to Japan last April 2013, we were hosted by our friend who works at Rakuten. He is still working there right now. In fact, he has been recently promoted last year. It was the first time I ever heard of Rakuten. 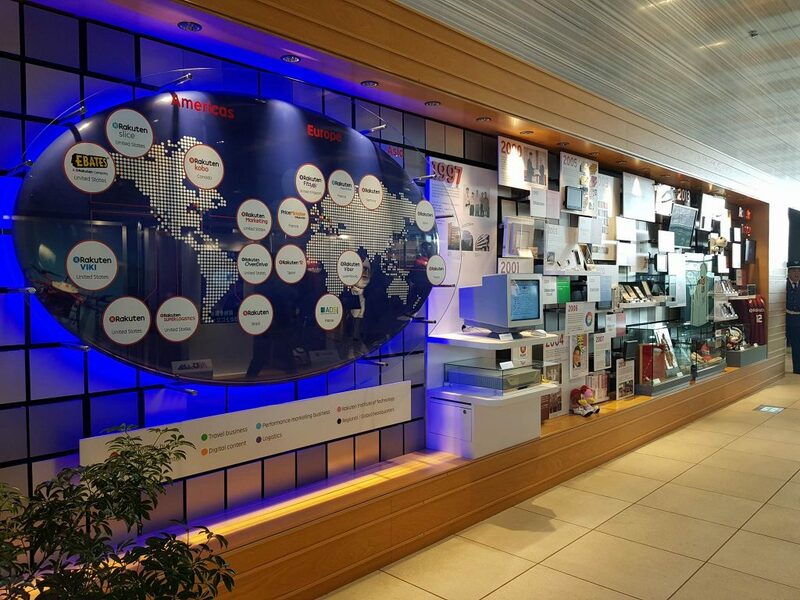 It is one of the largest e-commerce in Japan, and is currently expanding in Europe and USA. They offer a large number of services and ecosystem across all of their products. They have recently made a patch deal with the Golden State Warriors for 3 years. 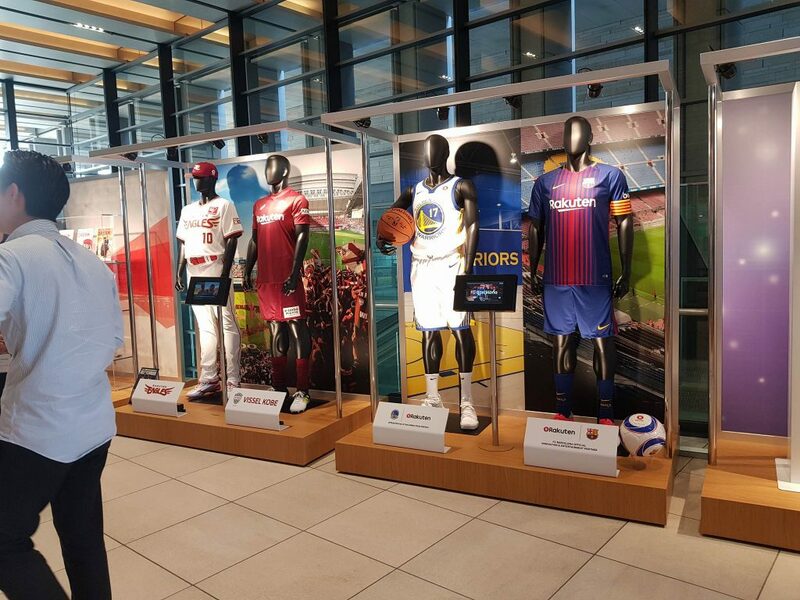 Not only that, they also made a long term deal with FC Barcelona which puts the Rakuten brand at the front of their jerseys. How cool is that? I actually applied at Rakuten around June 2012 for the first time. It was from a recruiter. However, things didn’t work out and my CV didn’t get through even to their HR. It must have been difficult to apply there. I’ve moved on and got a good job at OLX Philippines and have been happily working here for 5 years. When I was already planning my exit strategy for 2018, I was applying for a scholarship at Keio University IGP Application for Fall 2018. I was accepted and just waiting for the scholarship results to be announced sometime in June or July. However, after submitting and completing all my requirements for Keio, a recruiter from LinkedIn contacted me. The recruitment agency which contacted me was Japan Geo Adventures. At first, I don’t want to even bother replying because I want to be more focused with Keio. I asked the recruiter if it would be possible to know the companies just to check if I am qualified. I had a Skype interview with them last December 2017. It was a basic interview like checking the details on the CV that you’ve submitted to double check that you’re not a fraud, and also matching your skills with the appropriate job. I was eventually given two (2) options to apply. Somehow, I felt like I wanted the Web Application (PHP) Engineer for Bookmarks/Notifications job listing. I was then tasked to submit documents like cover letter, survey, etc. Everyone in Japan was also on winter vacation so I had to wait until January of 2018. Around mid-January, I received an email invite from Codility. It was from Rakuten and they wanted me to take the test online. There were a lot of references that you can search online regarding the Codility exam from Rakuten. 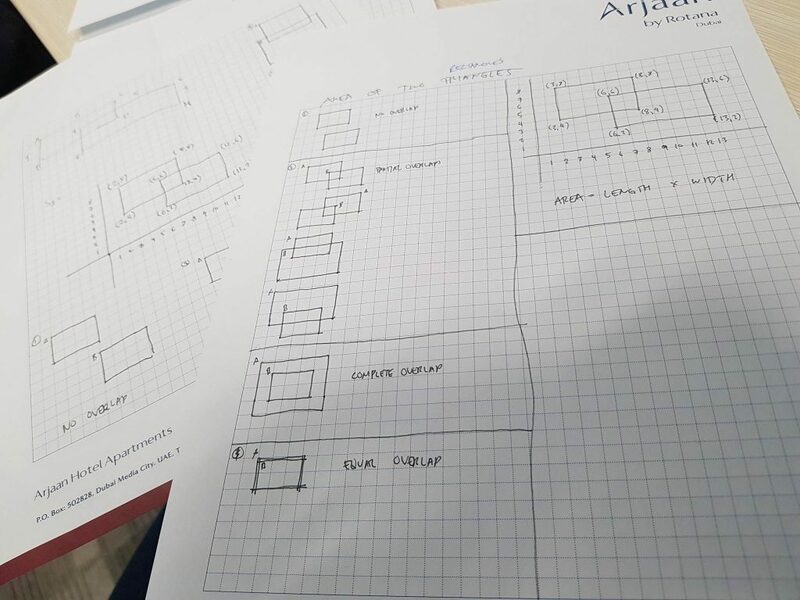 The questions mostly were about getting the area of two rectangles. This problem wasn’t new to me because I’ve already heard about it during the OLX Tech Leads Conference that I attended in Berlin last 2015. I already know the possible edge cases that you need to consider. I already did pre-work and already had an idea on how I will approach the problem. But alas, upon starting the coding test, it wasn’t the question. It was fairly moderate in difficulty level. But believe me, if you don’t have a Computer Science background or don’t have enough experience, your solution will not be as efficient and optimized. I could still remember before during a whiteboard coding interview with Dean Berris, he gave me problems which I was able to solve. However, solving it was one thing. Optimizing it was another. It was a very productive interview and I learned a lot from him. Fast forward 9 years, and I was able to apply what he taught me during that moment. Thanks Dean! I was able to solve the coding problem and was pretty confident about it. I got the results of my Codility exam after a week. The recruiter told me that I can proceed with the panel interview. The good thing about Rakuten and GeoAd recruitment is that they ask you of your available time. I always set mine to 6pm because it’s after office core hours. There were three (3) people on my interview panel. One manager, and two engineers. The manager and one engineer were Japanese who spoke English. The other engineer was Indian. They asked questions which were already familiar to me so I was able to answer everything confidently. There were some items also that I don’t have experience. I just told them that I don’t know what it is. It’s good to be confident with the topics that you have experience with, and also to be completely honest with those that you are not familiar with. I don’t really believe in the “fake it until you make it” manifesto. I want to be as honest as possible. The interview probably lasted around 30-45 minutes. It was a very productive interview and I was able to ask questions about the team that I will be joining “in case” I will be given a job offer. Again, after a week, I got the results from the panel interview. I did receive some good feedback from the panel according to my recruiter. I don’t know. But I sometimes have the imposter syndrome (not to be confused with Dunning–Kruger effect). The funny thing was, the given schedule slots hits on my vacation leave for Japan. I told my recruiter that I won’t be available for the next two (2) weeks. I did disclose though that I will be in Japan during those days. The recruiter was able to ask Rakuten to schedule my availability. However, the chosen timeslot hits on the day that I will be returning home. Geo Adventures was kind enough to offer to me a reimbursement of my return ticket and hotel accommodations. According to them, it really is a perfect timing since I am already in Japan. I agreed and rebooked my return flight, but I didn’t asked for a reimbursement. I just didn’t want to have any attachments to anyone. The Rakuten Tech HR also sent an email for my pre-interview requirements. I was tasked to read two (2) of Hiroshi Mikitani’s books. He is the CEO of Rakuten and has actually written quite a number of books. After reading the books, I was asked to submit an essay or reaction paper about the book. I am a slow reader so I must admit that I just skimmed through the 2nd book. I did learn a lot about the book. There were things that I agreed upon, and some that I think are on a case-to-case basis. These books are actually for sale so I was lucky enough to have a “password protected” digital copy for FREE! 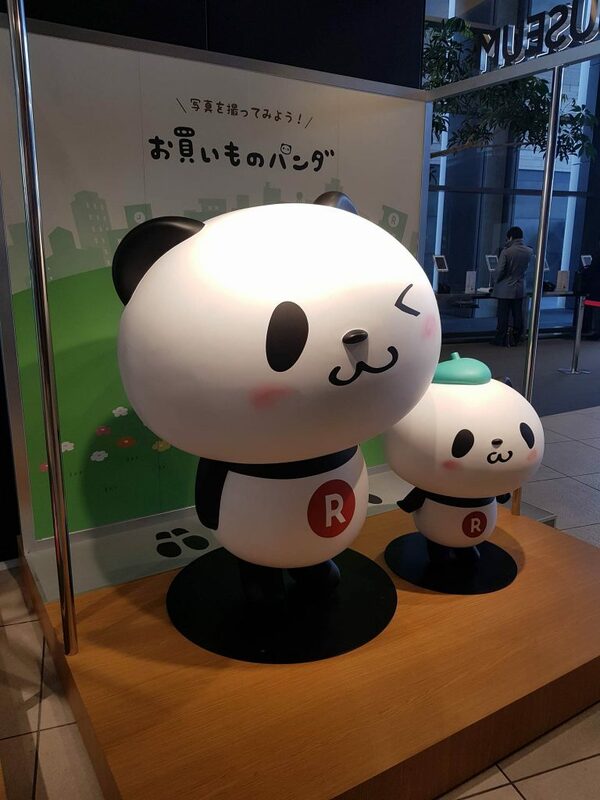 – This is also on their website and serves as a guideline on how the Rakuten culture works. Mikitani-san also wrote something about it on LinkedIn. I decided to concentrate on reading this given that I only have a week to submit my essay. – This is quite a lengthy book. There’s a total of 92 items, but it should be taken with a grain of salt since it will always be different depending on your circumstance. 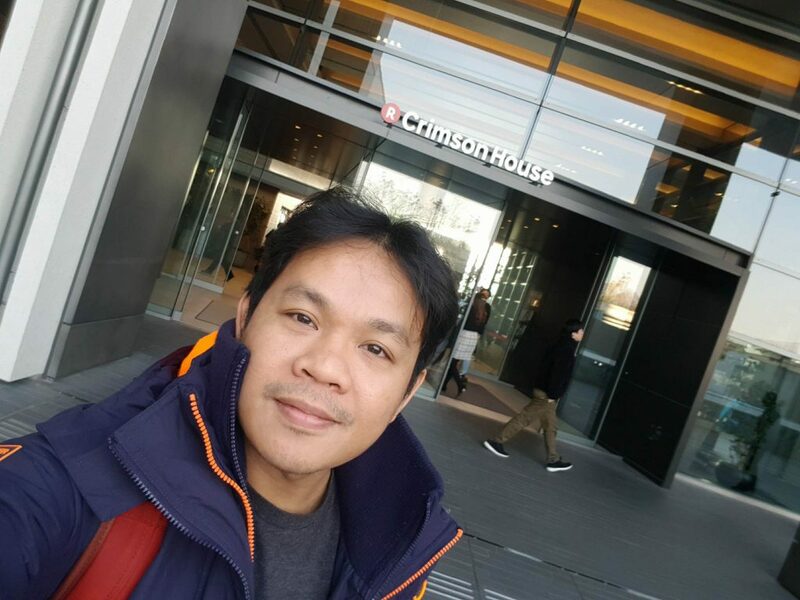 After submitting everything and interview schedule settled, my recruiter and I decided to meet at the Rakuten Crimson House at their Tokyo Headquarters. 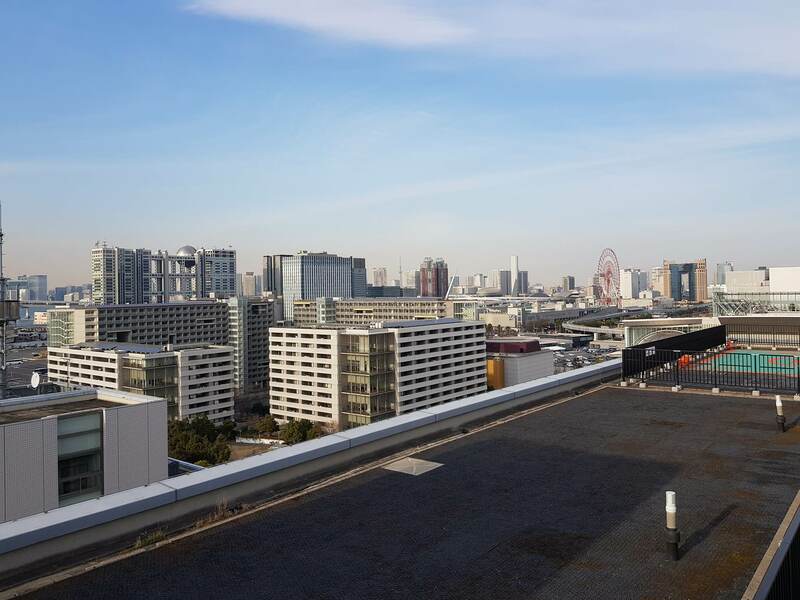 She wanted me to have a glimpse on how the life is at Rakuten and the surrounding areas. We are to meet at around 1:30pm, but I decided to go early and roam around the vicinity. 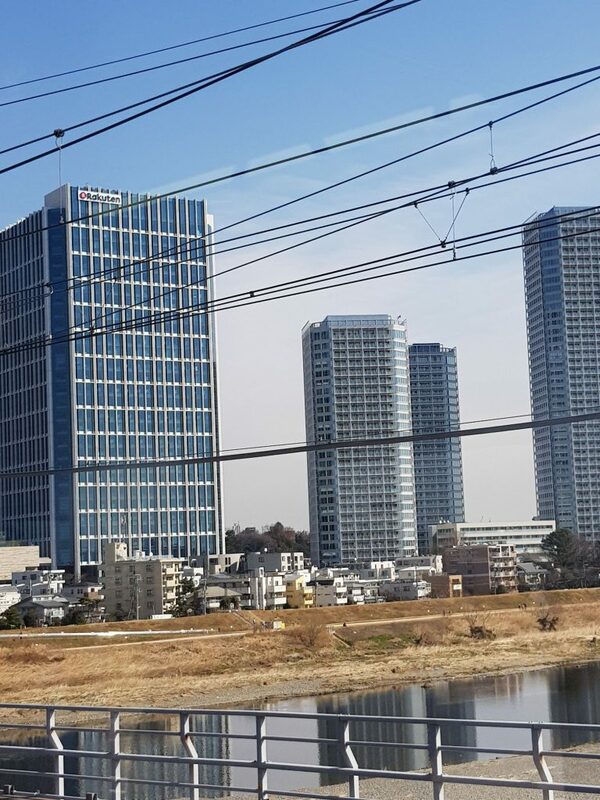 The Rakuten Crimson House is just around 3-5 minutes on foot from the Futako-Tamagawa station. 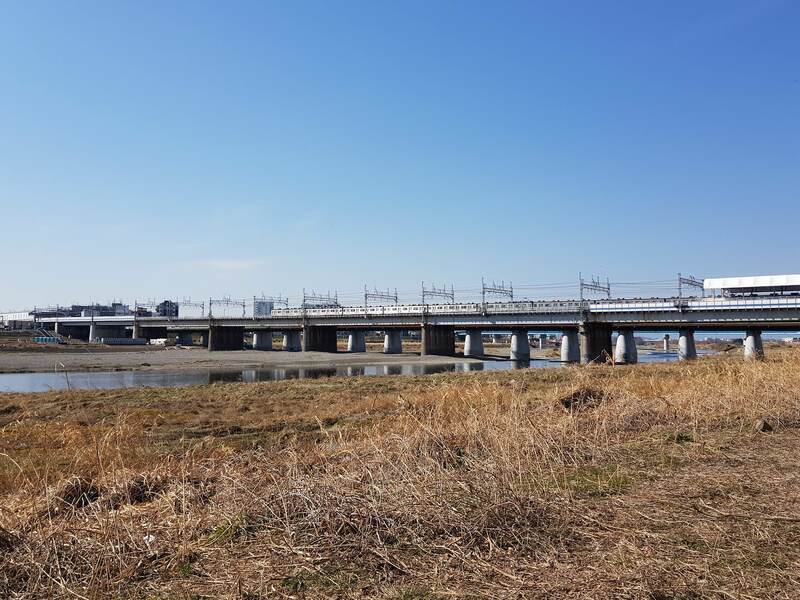 Since I was early, I went to the nearby riverbank and roamed around. There were people eating their bento lunch, kids playing, and some who were just merely getting a fresh air. I met with the recruiter at the Futako-Tamagawa station around 1:15pm and she toured me around the area. I didn’t know the entrance was on the other side and not on the side facing the river. We got inside their public area at the lobby. 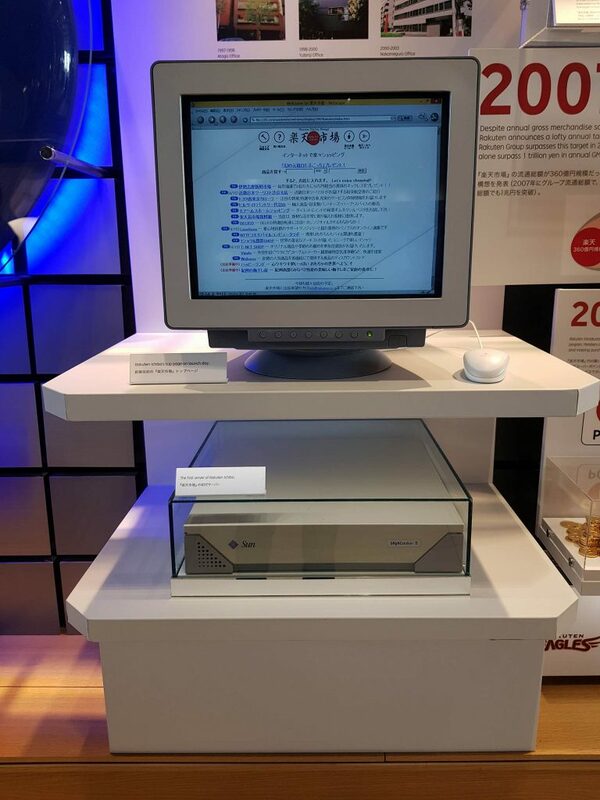 I got to read the history of Rakuten and the timeline of their products and innovations. After the tour, my recruiter and I had some coffee and talked about Japan and the Philippines. It was an informative and substantial discussion about life in Tokyo in general. She also lived in Canada and Australia that’s why she speaks really good english. She can even get the context of my jokes which speaks so much about her ability understanding the english language. The day before my final interview, I visited the Geo Adventures office in Odaiba because I forgot to give my omiyage to her. It was a good thing also because their CEO bought me some pants and formal polo clothes. 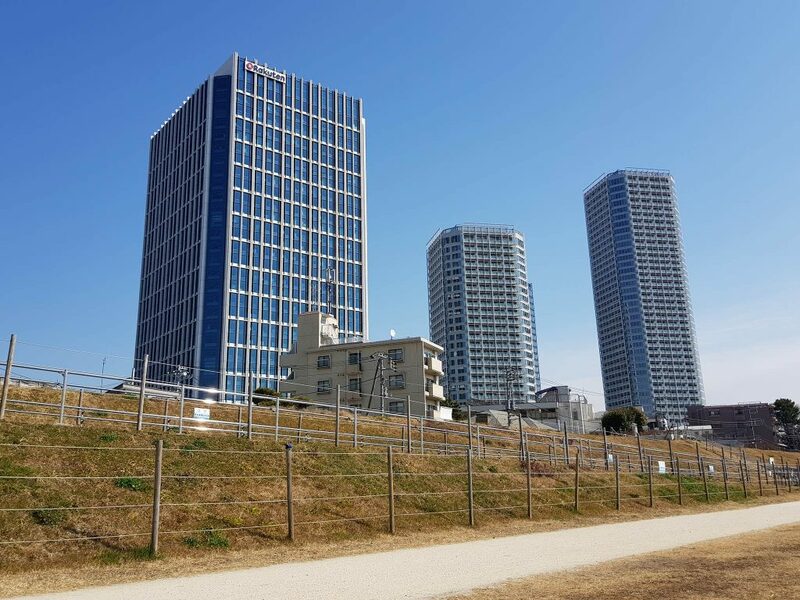 Their office is right across Miraikan and very near Diver City. 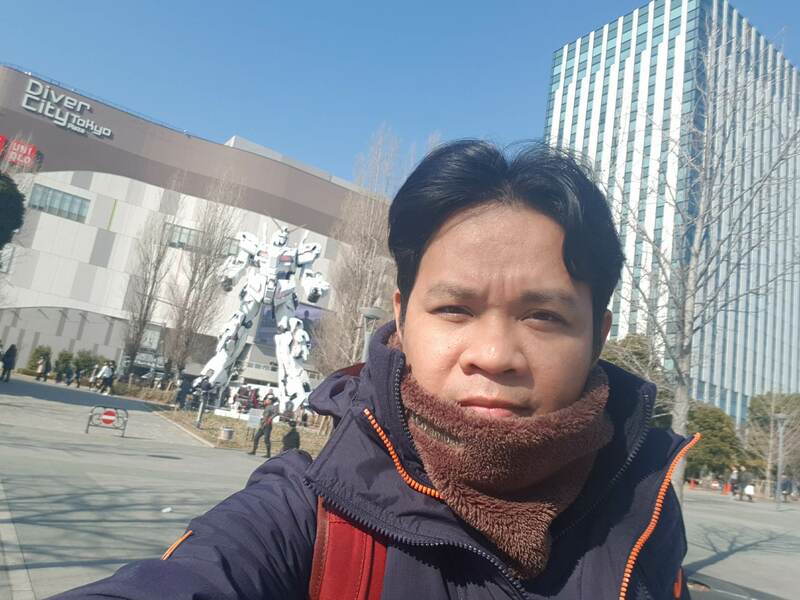 I got to visit Unicorn Gundam once again. I arrived around an hour early for my final interview. I roamed around the area looking for a good lunch and I found a restaurant beside KFC. I ordered gyudon and apparently it came with a free clam soup. I hate clam soup! Good thing I was able to smell it first before sipping, otherwise I’d be sick during my interview. I contacted the recruiter and told her if it’s possible for me to register at the area at 1:10, 20 minutes early. She said it’s too early and that 1:20 might be a better idea. Japanese accuracy and punctuality at its finest. So I went inside the Crimson House, registered at the ipad area and waited for someone to come pick me up. There was specifically no other instruction other than to “wait” near the wide LCD screen. I was given a check-in badge with a guest wifi credentials. I waited and after several minutes, someone from their HR went down and called for my name. I was given another temporary ID and got access to the building. I was accompanied I think at the 7th floor meeting rooms where I had to wait for my interviewer inside a meeting room. There, I met Tatsuya “Tats” Kinugawa. He is currently the General Manager of the EC Incubation Team. He speaks english fluently and was a very fun person to talk to. We discussed about the culture of Rakuten and how it is like working inside. He gave me situational questions which actually happens in real life. I gave out my opinions and solutions to him, based solely on my own experience. Some which I didn’t had any experience, I had to answer as honestly as possible. The interview only lasted about 30 minutes. Kinugawa-san was kind enough to extend another 8 minutes of his time as I asked questions about the team and the projects that they’re currently working on. He was a busy person so he had to leave immediately. 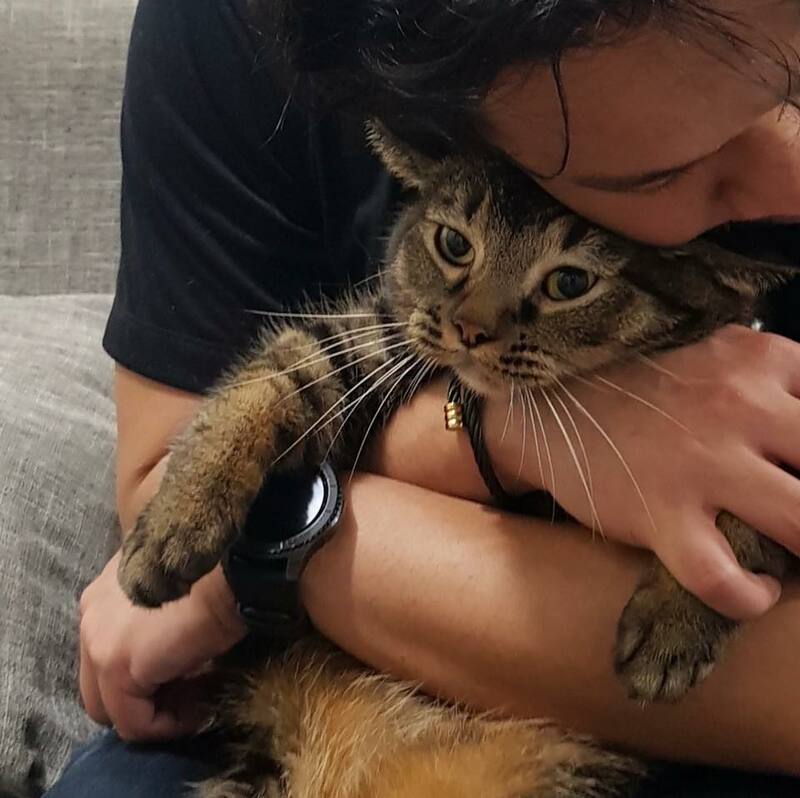 He told me that I will have the results after a week. After the interview, the same HR accompanied me downstairs to the lobby. We did a little bit of chat like where did I go in Japan, how it’s like in the Philippines, and how she was not actually expecting me to come in person during the final interview. I guess rebooking my flight to have the final interview personally did make an impact somehow. I was expecting the results to come the next week. I know I did well all through the process. I gave out my all and the best of my skills and knowledge. So even if I don’t get the job offer, I am still proud of myself that I was able to reach as far as getting the final interview. But lo and behold, my recruiter messaged me three (3) days after my final interview! Finally, all the effort and hard work paid off! I had a skype meeting with the Rakuten Global HR to discuss the offer sheet. I had several questions listed down, but most of them were already answered during the meeting. The global HR person was very clear on explaining every item. It was a no-brainer decision for me. I signed the document and handed it over to my recruiter. So for now, let’s wait for further announcements. I will also try to write about my journey to officially becoming an OFW (Overseas Filipino Worker). Hehe. Prior to the application, I researched about Rakuten. No doubt about it that their brand is really huge and their engineer recruitment video is awesome. However, I’ve read several bad reviews about Rakuten in Glassdoor. I became doubtful about the company for a moment, but given the number of reviews of less than 600, I don’t think it really speaks about the entirety company. There is no perfect company and I’ve been to worst. 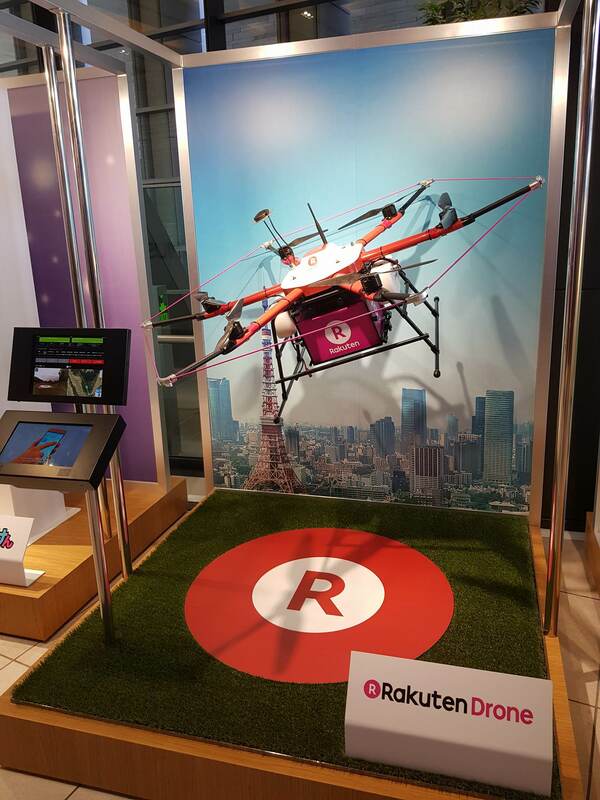 But Rakuten probably is one of the best companies to work for in Japan in my opinion. I have great pride working at OLX Philippines because my job gives huge and direct impact to every Filipinos on a daily win-win transaction. Rakuten will also give me that opportunity. To make a difference not only in Japan, but also on a global scale. I am definitely excited to be part of the company, and to blog more about my daily work experience. So until then, see you in Tokyo come this July 1st! Please contact me via email, LinkedIn, or at the comments section. Do not message me on Facebook, Twitter, or Instagram please. Rakuten is very strict with confidentiality so please understand if I cannot disclose some information. Thank you for your understanding and have a great day ahead. Just want to know how many interviews you attended in Rakuten? Based on your blog, after panel interview, next was final interview? Is there any technical interview during your final interview? or on-the-spot coding challenge during your interview? I only had 2 interviews with Rakuten. This is a case-to-case basis since my recruiter told me that usually there are 3 or more interviews. There was no whiteboard coding exam during the panel interview since they already do that with the codility exam. The final interview is more of situational questions and culture fit interview. Still depends with the interviewer if he/she wants to verify your technical skills. These are my experience on the pre-hiring process so it varies from people to people. What was the question that you got on the Codility test? Could you share it with me here please? Could you please share Five Principles of Success and olden Rules of Success that you get for FREE? I have the same task right now. I need to read and review it. Didn’t HR sent you a copy? You should get one if you have reached the final interview. If you didn’t get any, you can request from the HR. *You do NOT need to submit an essay. Just wondering in this stage of the application process, is there still a chance that I might fail ? So for being pessimistic, I’m just getting a little nervous with the result of my interview, hope you can give me an insight into this. Thanks for the advice kabayan, if ever all goes well and I get blessed into passing this job application process. I probably might drop by your cube and say hi to you in person. Regarding the codility exam, they sent it to me via email but I haven’t take it yet. May I know if this is truly a coding exam using different language? Honestly, I am not good with coding since I do not have a background of it. Any suggestions? Thanks. Yes it’s a coding exam and you have a wide array of programming language that you can choose. If you don’t have coding experience I think you will have a hard time as it is also time bound. I suggest you take the sample codility exam that can be found online to give you an idea on how the exam and questions are structured. Feedback came after 2 weeks and I passed 🙂 . Looking forward to meeting you in person once I start there. Appreciate all your posts in this blog, cause it gave me some sort of a guide during the hiring process. First of all congratulations on making it to Rakuten! Your blog was pretty insightful. Am from India and my application is in process. Have cleared the coding round and two subsequent skype interviews and my third interview is scheduled this week. Just was curious about what to expect and how to prepare for this round and any pointers to how many rounds will be there? Hi Shantanu! Congratulations and good luck!! 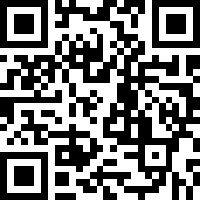 I have given the Codility test which was moderate in difficulty scale. I’m really curious about knowing how everything after that goes. I don’t have a Japan VISA and I applied for Rakuten Japan. I wonder if I’ll be rejected for that. Can you share me some details? Congrats for making it to Rakuten! 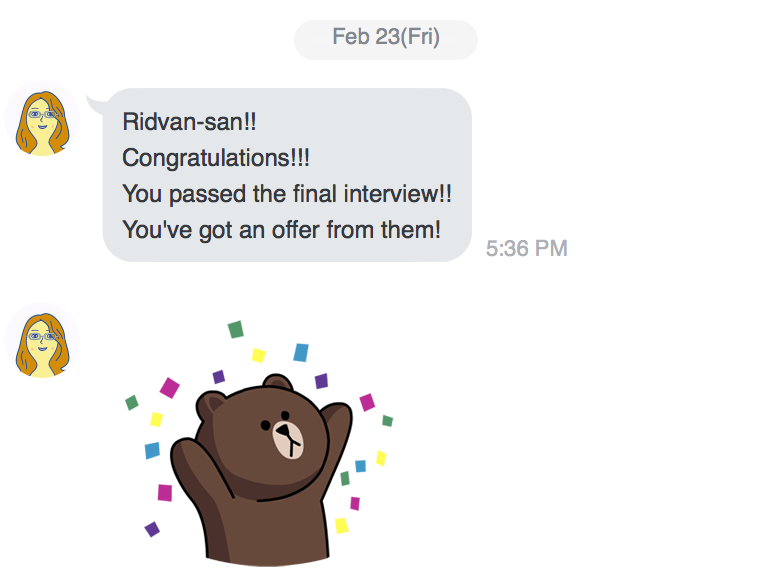 I am also on the verge on my final interview for Rakuten. They also let me read 2 of their books but no essay. Any tips on the final interview? Just want to know how many days did you receive your official job offer after the final interview? Any insights on how long the results will take? I’m happy with the experience you’ve shared. I have been contacted by recruiters and have conducted interviews via Skype. Then I was told to make a cover letter. I want to ask, who is the cover letter addressed to? to the agency or company? For my experience, I addressed it to the Hiring Manager of Rakuten. But in any case, please confirm with your recruiter to whom you should address your cover letter to. I just got an invitation for an interview from Rakuten but reading some comments and your blog i don’t know if i will be doing the codility test. Do you happen to know if testers will also do the test? I’m not familiar with how testers are interviewed. Sorry. However, the area of rectangle problem that I mentioned in the article above is also applicable to QA. Makes you think about possible edge cases. I recently took codility test and was waiting for the recruiter to respond. I see that (this recruiter or Rakuten as a whole) might not be into responding to candidates seeing that they dint respond to my conformation mail and inquiry mail. I sincerely wish that you can clarify some of my doubts. 1. 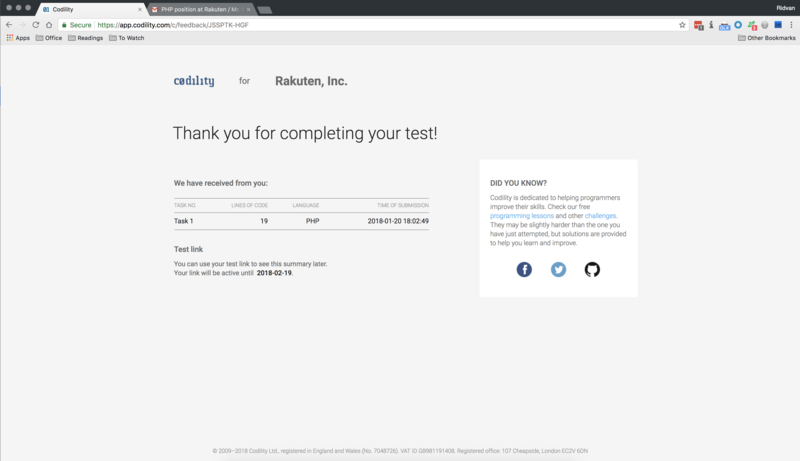 How long does the link stay alive (In codility they said couple of day after we receive while the mail from Rakuten gave a week deadline), I already took the test but this might clarify future candidates dilemma. If I happen to get an opportunity, I would be delighted to have pint with you mate. 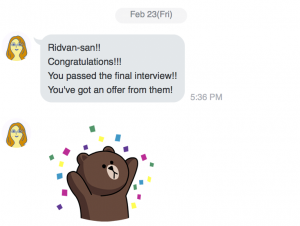 If the recruiter hasn’t responded yet, then most probably Rakuten didn’t give them word yet. I’m really not sure how the internal process works so the least that you can probably do is follow-up with the recruiter.